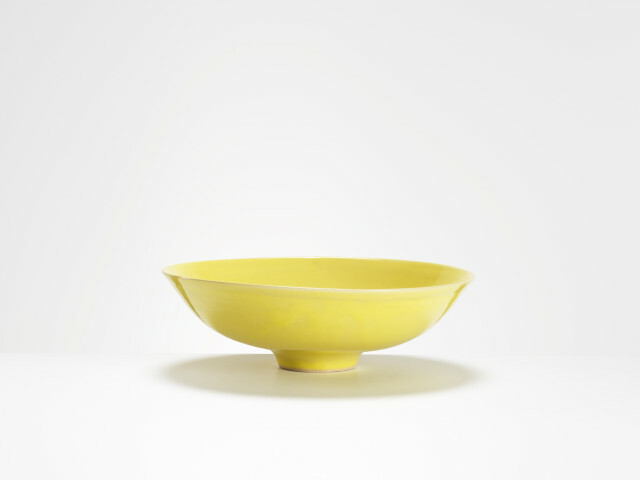 Rupert Spira is among the finest ceramists of his generation, known for his elegant tableware, his undulating open bowls, his eloquent groupings of slender cylinder vessels and his unique poem bowls. His work is simple and strong in form, quiet and restrained in character. His glazes range from matt white to a vivid Chun blue and a rich copper red, and he is a master of sgraffito. His first brush with studio pottery was a Michael Cardew exhibition in 1975. He later recalled, "Cardew's pots had a raw, vital, organic quality I'd never seen before. What struck me was their potency, their capacity to communicate." He went on to train under Cardew for two years before setting up his own studio and establishing his own distinctive style, but the desire to communicate remained central to his work. In the late 1990s Spira began to introduce words to his ceramics - poetry, often his own - painstakingly incised or embossed. At times the words are indistinct, their meaning elusive; elsewhere they are clear and precise. They add a different dimension to our reading of the pots and have a serene, almost meditative quality. Spira was active as a potter for more than 30 years, during which time he achieved international renown. His work can be found in private and public collections throughout the world, including the V&A, the Fitzwilliam Museum, the Sainsbury Centre for Visual Arts and the National Museum of Modern Art, Tokyo.